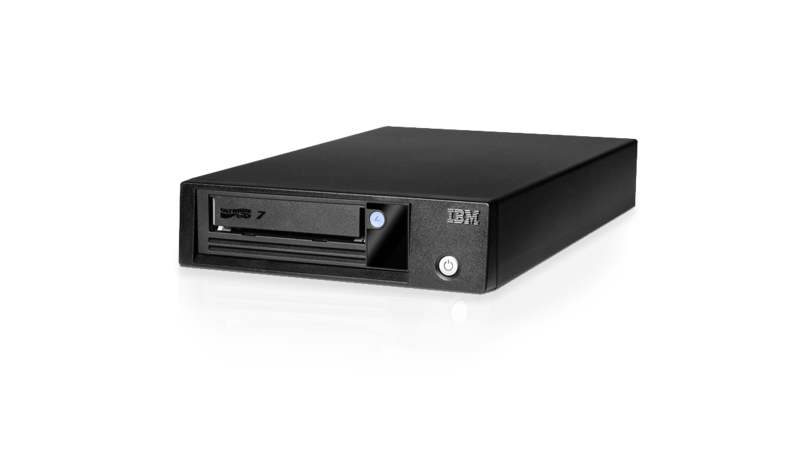 IBM® TS2270 Tape Drive is designed to meet growing storage requirements and shrinking backup windows, and is an excellent storage solution for organizations requiring backup, save and restore, and low-cost, archival data storage. By incorporating the latest generation of industry-leading LTO technology, the TS2270 tape drive offers higher capacity and higher data transfer rates than the previous generation. The LTO Ultrium 7 technology supports media partitioning, IBM Spectrum Archive technology, and encryption of data and write-once-read-many media. The TS2270 tape drive provides long-term backup and archive storage data protection while lowering overall storage costs. With significant increase in data transfer performance over the previous LTO Ultrium half-height generation, the TS2270 offers transfer rate of up to 300 MBps with 6-Gbps SAS interface connectivity. Simplify data management with IBM® Spectrum Archive™ utilizing IBM Linear Tape File System™ technology, and LTO Ultrium 7 technology designed to support media partitioning and data encryption.